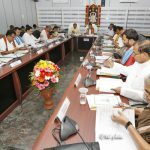 Tirumala, 27 March 2017: The Trust board of Tirumala Tirupati Devasthanams has approved for Rs.86cr worth developmental works during its board meeting out of which Rs.53crores is towards house keeping and management services in Tirumala. 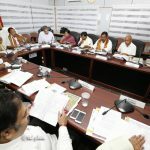 The TTD Trust Board under the Chairmanship of Dr Ch Krishnamurthy on Monday has taken some important resolutions during the board meeting held at Annamaiah Bhavan in Tirumala. 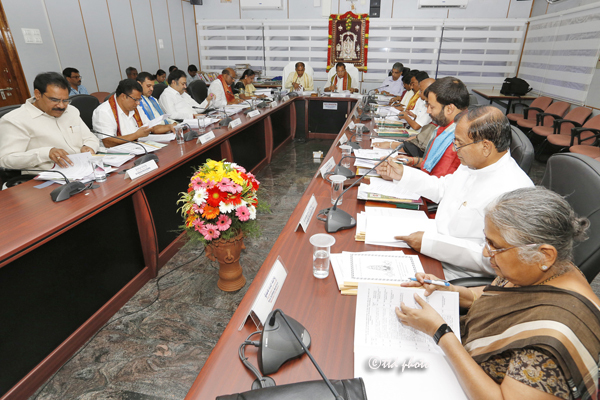 ➢ Rs.39cr towards the construction of Vakulamata Rest House in Tirumala with a spacious parking facility and 270 rooms. 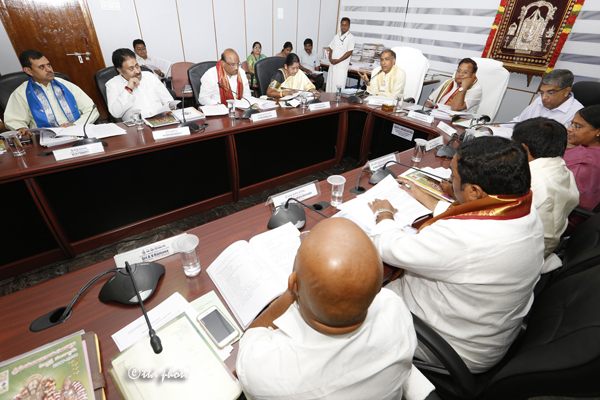 ➢ Rs.1.42cr towards reconstruction of Sri Sambandhu Sekhara Swamy Devasthanam in Duggirala village in West Godavari. 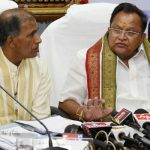 > Construction of Kalyana Mandapam in Rayachoti of YSR Kadapa district at Rs.1.25cr. 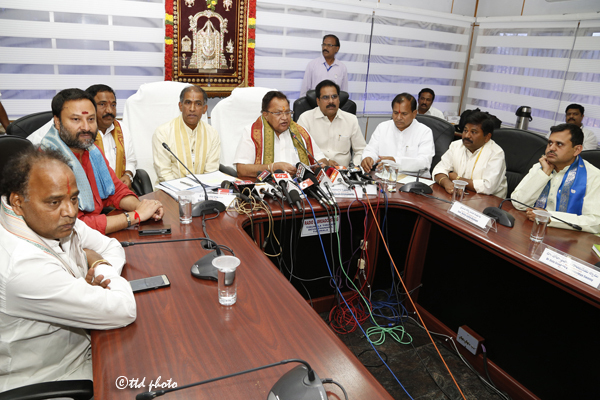 ➢ Rs.1.18cr towards the development of Sri Tirupati Devarayalu Devasthanam in Nasanakota of Anantapur district. ➢ For repairs of chowltry in Annapureddipalle in Khammam Rs.37lakhs sanctioned. 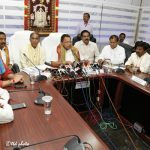 ➢ Rs.30lakhs for construction of Sri Venkateswara Swamy temple in Vaddadi village and Rs,12 lakhs for Sri Poturaju Babu temple construction in Vaddadi village of Vizag. ➢ Rs.25lakhs for Prakaram Mandapam construction of Sri Lakshmi Narasimha Swamy temple in Chillakuru Mandal of Nellore district. 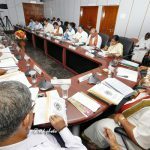 ➢ For the purchase of eleven lakhs coconuts with 30cm diameter with each coconut at a cost of Rs.11.34/-, Rs.1.25cr approved. ➢ For purchasing four Lakh kilos of Bengal gram at kilo Rs.65.51/-, an amount of Rs.2.62cr sanctioned. ➢ For two months period, Rs.80lakhs worth 1.20lakh kilos of Red gram at Rs.66.88 per kilo is sanctioned. 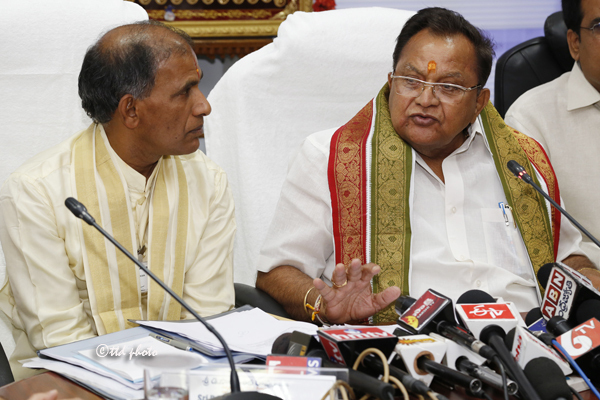 ➢ For purchase of 1790 tonnes of fodder to cattle in SV Gosala, Rs.2.85cr sanctioned. 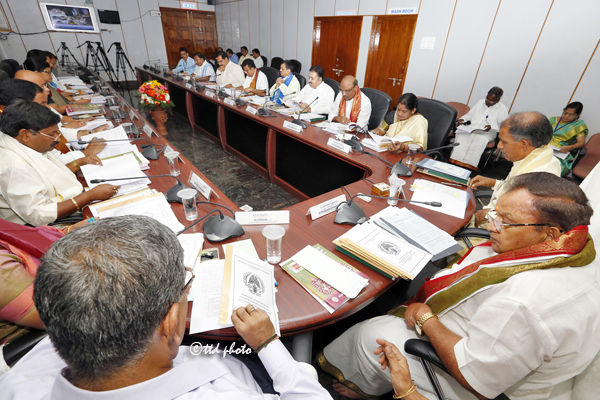 ➢ Towards the purchase of 8600 tonnes of maize grass For SV Goshala, Rs.2.84cr sanctioned. ➢ Bengaluru based firm, Bright Waste Technology, has come forward for Solid Waste Management in Tirumala for a period of five years. ➢ 172 outsourcing contract labour working in Forest department under Sri Venkateswara Forest Workers Welfare Society get extension for one more year. ➢ Agama advisor Sri NAK Sunderavaradan also gets extension for one more year on contract basis. 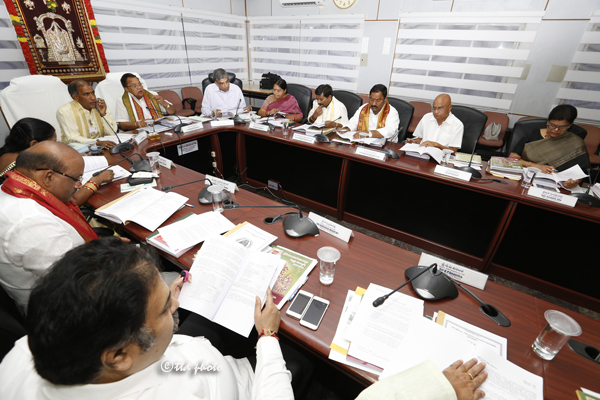 TTD EO Dr D Sambasiva Rao, Trust Board members, Smt Pilli Anantha Lakshmi, Smt Kolla Lalitha Kumari,Dr Dolla Sree Bala Veeranjaneya, Sri Putta Sudhakar Yadav, Sri Sandra Venkata Veeraiah, Sri AV Ramana, Smt Suchithra Ella, Sri DP Anantha, Sri G. Bhanu Prakash Reddy, Sri Vaidyanathan Krishnamoorthy, Dr P Hariprasad, Smt Sudha Narayanamurthy, Sri Narsa Reddy, Sri Ramachandra Reddy, Ex Officio Member Principal Sec Sri JSV Prasad, JEOs Sri KS Sreenivasa Raju, Sri Pola Bhaskar, CVSO Sri G Srinivas, FACAO Sri Balaji, Chief Engineer Sri Chandrasekhar Reddy were present.